I made it a New Year’s resolution (here) to make the switch from regular drugstore products to more vegan-friendly and cruelty free brands. 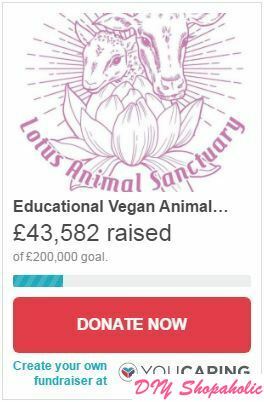 I started becoming more aware that a lot of bigger name brands, despite the ban put in place 3 years ago on selling products in the UK if they used animal testing, have still been stocking the shelves at local supermarkets and drugstores with their wares. I’ve been paying more attention to the products I buy and decided to slowly wean myself off of products that are harmful to us and that use animal testing. I pledged to switch to more vegan-friendly and cruelty free brands (see here and here) and I’ve been gradually making that change. As I begin to switch more of my products over to cruelty free brands (organic where possible), I will share my reviews of the products I have been using. 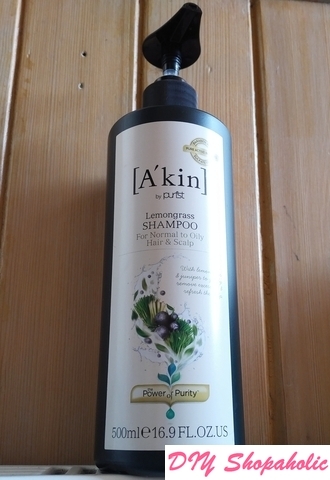 At the end of last year, I looked into organic, sulphate-free cruelty-free shampoo and conditioners and I made a final choice to go with [A’kin]. 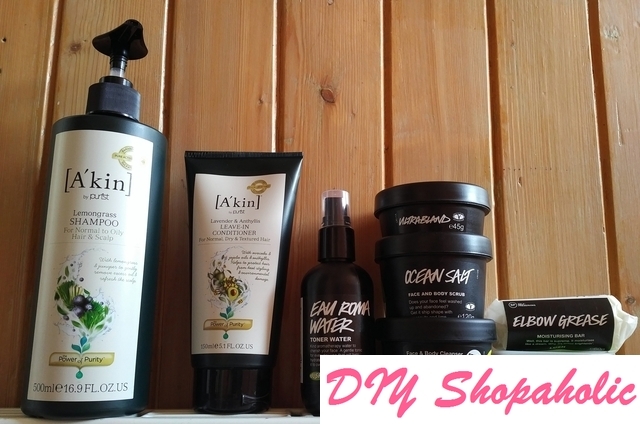 [A’kin] is an Australian company that has devoted 15 years to creating natural, safe and effective products using only pure and natural ingredients. All products are paraben free, sulphate free, toxin free, harsh chemical free, certified vegan, animal ingredient free and animal testing free. I’ve had to wait until I’ve used up all my previous shampoo and conditioner which contained a lot of harsh chemicals, and I feel has aggravated my hand allergies so I felt the switch to more natural products in my daily regime was a must. Having used my [A’kin] products for the last week, I’m happy to report that I’m really pleased with the results. I had been perusing quite a few brands and read reviews available on the World Wide Web for as much information as I could find. The only problem I’ve got as with any product is, each person’s hair is different. You can have one person with very fine hair but can only wash their hair once a week, or another with thick hair and needs to use sensitive scalp shampoo. I was on the market for good reviews of shampoo used by Asians as we seem to have a different set of needs when it comes to shampoo. I have tried various brands over the years, but seemingly only Asian brands catering to Asian customers or Head & Shoulders shampoos have worked for me; every other brand I’ve tried has left my hair greasy after just one wash.
I’d been of the mind that I had a greasy scalp. When I got my hair cut recently, I was told I had a very healthy scalp and didn’t need anything in particular which was good news to me. The great thing about the Lemongrass shampoo is that it’s suitable for normal to oily hair and scalp. There are a few natural, organic shampoos that don’t lather (this is normally where SLS comes into play – for more information on this, see my previous post here), but this shampoo uses sodium lauroyl sarcosinate – a natural derivative of coconut oil and the amino acid, sarcosine – which is also capable of creating a rich lather. The liquid is thick and clear and at first reminds me of liquid hand soap you would have on your sink, but the lovely greenbottle sets itself apart and you would never find yourself mistaking this for hand soap! This shampoo is made with a synergistic blend of 6 botanical cleansers including Lemongrass and Juniper which help regulate oil production without drying the hair. I have to say for switching to a more natural shampoo, my hair feels very clean and more balanced. I was a bit concerned that it would get really greasy over time, but I’m happy to say that it’s not the case at all. The directions do say to rub the shampoo through your hair, rinse and repeat as necessary, but I’ve only had to use one pump of the shampoo to wash my entire scalp. I haven’t used very much of it at all so can see that a bottle would last me a while. It’s not a harsh shampoo and would be suitable for daily use, but if your hair doesn’t need washed constantly, you can reduce the frequency. Using a blend of pure active botanics like Amino acids, anti-oxidants, herbal extracts and richly nourishing Australian Jojoba and certified organic Avocado oil, this rich natural leave in conditioner helps to add moisture and strength to your hair whilst protecting it from heat styling and environmental damage. Each ingredient has been selectively chosen and delicately extracted to retain its purity so healthy hair shines naturally. I’m so used to leaving the conditioner on the end half of my hair while I shampoo my scalp and washing this all off at the end that I was a bit hesitant about how the leave-in conditioner would work. The conditioner works well on dry or damp hair. I normally use product on damp towel-dried hair out of habit and the conditioner seems nourish my hair really well without making it clump together in a sticky mess once it’s dried. While it was drying, it wasn’t separating into strands like my hair normally does, but running my fingers through my hair resovled that easily enough. I couldn’t believe how silky smooth my hair was after using this on the first day. The leave-in conditioner works just as well as a brand used by professional hairstylists without aggravating the allergies on my hands! I’m really glad I made the switch to organic natural, vegan-friendly and cruelty-free brands that are also paraben and SLS/SLAS-free. My hair (and my hands!) are thanking me for this switch and I’m not as worried now about putting lots of chemicals on my hair. 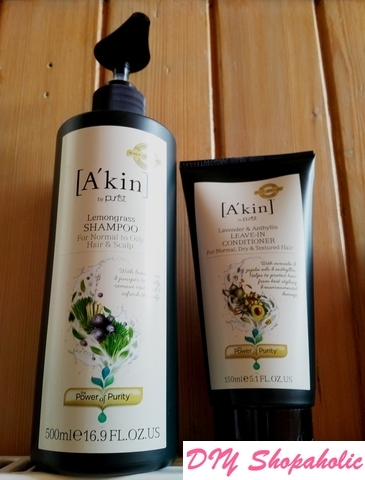 [A’kin] products are available to purchase directly from their website. 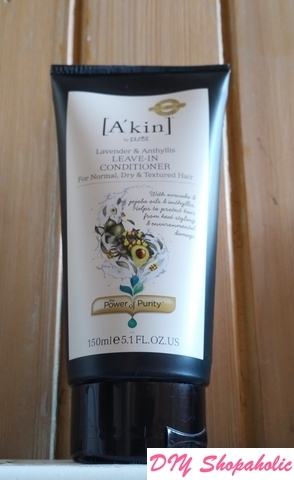 You can also purchase [A’kin] products as well as various other skincare, beauty, household and baby care products from other vegan-friendly brands from MyPure here. I would like to hear about any other brands that you use that you would recommend!